1. 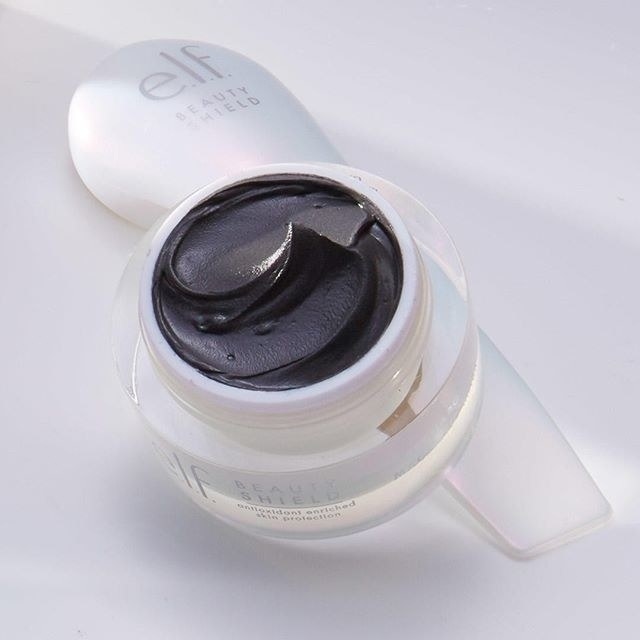 An antioxidant-rich magnetic mask that'll effortlessly lift off with a magnet wand. Get it from Target for $24. 2. 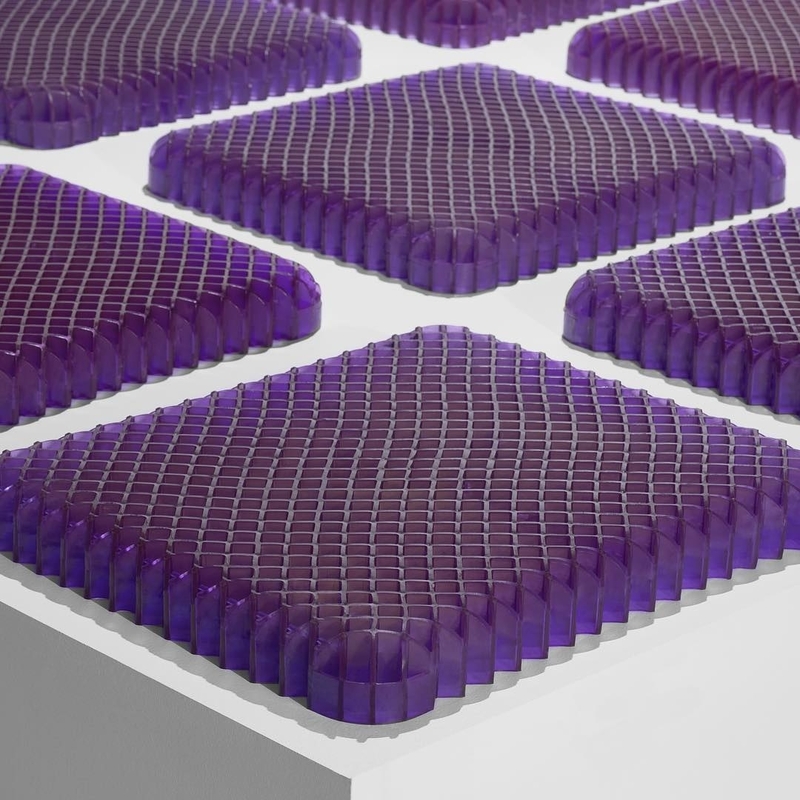 A purple seat cushion to make sitting for hours on end a little less painful. Get it from Amazon for $54. 3. 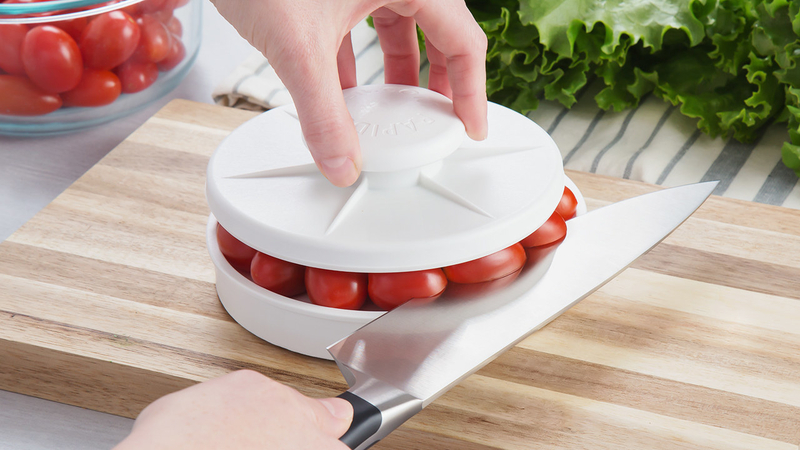 A handy gadget for slicing a bunch of cherry tomatoes at once. Get it from Amazon for $14.95 or The Grommet for $12.95. 4. A bottle of vitamins so pretty, you won't mind taking them. One BuzzFeed editor tried these Insta-famous vitamins — read her review! Get a one-month supply from Ritual for $30. 5. A container of clear slime that'll destroy your productivity. Get it from SlimeShopbyMadelyn on Etsy for $4.67. Also, check out similar options here, here, and here. 6. A set of magnetic tiles to piece together and make pretty much anything you want. 7. A disgustingly satisfying pimple-popping toy for anyone who enjoys squeezing the crap out of a zit. Get it from Amazon or Pop It Pal for $19.99 (available in three colors). Get it from Uncommongoods for $70 (available in two colors). 9. A foamy face wash that'll not only smell like roses but will also look like one coming out of the bottle. Get it from YesStyle for $17.01. 10. A rainbow projector to turn your room into a magical place where unicorns live. 11. A decorating kit for making cupcakes with tri-color frosting and convincing people you're some sort of baking whiz. Get it from Amazon for $7.25. 12. A notebook with magnetic pages you can rearrange however you like. Each notebook comes with 55 magnetic pages, and you can purchase refills once all of them are filled. Get it from Uncommongoods or The Grommet for $30. 13. A spinning toy that'll form mesmerizing patterns as it runs up and down your arm. Get it from The Grommet for $12.95 (available in four colors) or something similar from Amazon for $9.99+ (available in seven colors). 14. A magical 3D-printing pen — it's a toy that lets you make other toys (and whatever else you can think of). 15. A pack of squishy Orbeez to sink your hands (or feet) into. Get a 2000-pack from Target for $19.99. Or, check out similar but cheaper rainbow water beads and clear water beads from Amazon. 16. Or, these GIANT water beads you'll be tempted to throw like water balloons. These take at least 15 hours of soaking to reach full size so be patient! Get a 300-pack from Amazon for $9.99. 17. A handy kitchen gadget that'll tempt you to peel, core, and slice every apple in sight. Get it from Amazon for $20.57+ (available in two styles). Promising review: "Had some red wine splash on me during a wedding. Not like a huge puddle, but left a few streaks on the pant leg of a 100% wool suit. I sprayed some of this on a paper towel and applied it (conservatively) to the stains, then used a clean, wet paper towel to remove the residue. Worked like magic." —Will B. 19. A heat-conducting knife for an easy way to spread cold butter. To top it all off, it's dishwasher-safe! 20. A box of Kinetic Sand (aka squeezable/moldable sand) you'll want to run your hands through over and over again. Get a sandbox set from Amazon for $9.99+ (one pound of sand included) or just three pounds of sand for $9.99. 21. A lamp that can open like a book. The cover is magnetic, so it sticks to any metal surface. It runs up to eight hours on a rechargeable battery. Get it from Design Within Reach: the mini version for $150 (available in three colors) or the full-size version for $200 (available in two colors). Or, check out a similar but cheaper option from ThinkGeek. 22. A fidget toy appropriately named the "Lollipopter" because it's like candy for your eyes. 23. A de-shedding glove for a mess-free way to brush away the loose hair on your furry friend. 24. An electric pressure washer to get rid of any grime stuck on your walls, driveway, or car. Get it from Amazon for $149. 25. A cloud bath bomb that'll explode into a rainbow in your bathtub. Get it from Bella Grace Bath Co. for $15.95 (currently on backorder; check out a similar product while you wait). 26. A 2-in-1 device cleaner to finally get rid of the nastiness collecting on your tablet/phone/computer screen. One side dispenses a cleaning solution that kills bacteria, and the other side polishes the surface off so it looks nice and shiny. Get it from Amazon for $14.95 . 27. A set of brush pens perfect for pursuing the art of calligraphy. Get a 10-pack from Amazon for $16.65 (available in 14 color combos). 28. A peel-off polish barrier so you can paint outside the lines and then peel the excess product right off. This is great for creating flawless French manicure tips as well. Get it from Amazon for $13.99. Or, check out another option. 29. A can of cleaning slime that'll mold itself to fit the otherwise unreachable crevices on electronic devices and pick up all the dirt. It is non-toxic and biodegradable. Get one container from Amazon for $14.47+ or a complete kit from The Grommet for $19.95 (includes one container plus two refill bags). 30. An electric peeler named "Rotato Express" (lol). But don't let the name deceive you — it'll peel things other than potatoes, such as fruits. 31. A stainless steel garlic crusher for people who have a morbid fascination with the way garlic gets pushed through tiny holes. It can't just be me. Get it from Amazon for $11.59. 32. A magnetic spot scrubber designed to clean bottles with small openings. Get it from Amazon for $9.95+ (available in four colors). 33. A hot dog slicer that'll either make you feel super satisfied or super uncomfortable. It'll help hot dogs cook more evenly and keep condiments in place. Get it from Amazon for $17.88 or The Grommet for $15. 34. A bottle filled with ferrofluid you should keep on your desk as a conversation starter. It's satisfying but also kind of terrifying. Each bottle comes with a magnet! Get it from Concept Zero for $32.99+ (available in two sizes). Want more cool products? Here they are! 21 Products That Will Make You Say, "I'll Take Two Please!"